Are you ready to get involved? Most Carnegie Mellon students participate in activites beyond the classroom to round out their educational experience. We encourage you to explore MechE's undergraduate student organizations and participate in the professional and social activities they sponsor each semester. In addition, the university offers hundreds of clubs, activities, and volunteer experiences, open to all students regardless of major. The Student Advisory Council (SAC) provides feedback and recommendations to the department on new ideas and ways to enhance the undergraduate experience. It includes representatives from the sophomore, junior, and senior undergraduate classes that are elected during the fall of each academic year. 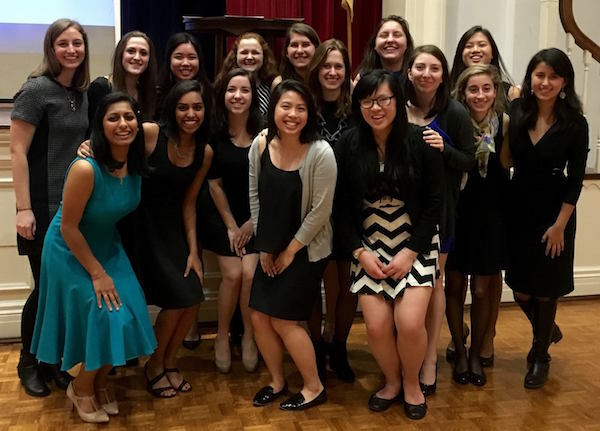 Women in MechE is a community in which undergraduate and graduate students build connections with alumni, mentors, faculty, other professionals, and each other. The organization participates in events such as monthly networking lunches, outreach with high school students to promote STEM, and involvement in the Women in Tech Summit. The faculty advisor is Rebecca Taylor. The American Society of Mechanical Engineers (ASME) is an international organization for the profession with a student chapter at Carnegie Mellon. Student membership offers the opportunity to develop professional skills and learn more about mechanical engineering. The chapter sponsors technical presentations by engineers in the industry, tours of companies and laboratories, and social activities. The faculty advisor is Katie Whitefoot. Carnegie Mellon Racing is Carnegie Mellon's chapter of the Society of Automotive Engineers (SAE). The team designs and builds a fully electric Formula 1 style race car to compete with university Formula SAE teams around the world. It is accessible to mechanical engineering students of different experience levels, backgrounds, and areas of study. The group also sponsors presentations by engineers working in the automotive industry. The faculty advisor is Satbir Singh. Carnegie Mellon Rocket Command introduces students to model rocketry. Students build and launch rockets individually, as competing teams, and as a club. Advanced builders have opportunities for national certification. The group was selected to participate in the NASA Marshall Space Flight Center Student Launch competition. The faculty advisor is Satbir Singh. 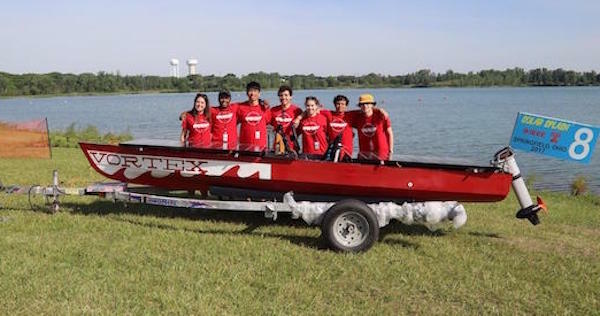 Carnegie Mellon Solar Racing is an intercollegiate solar boating competition sponsored by ASME. The competition includes sprint, slalom and endurance races. The National Society of Black Engineers (NSBE) is a 501(C)(3) non-profit association that is owned and managed by its members. 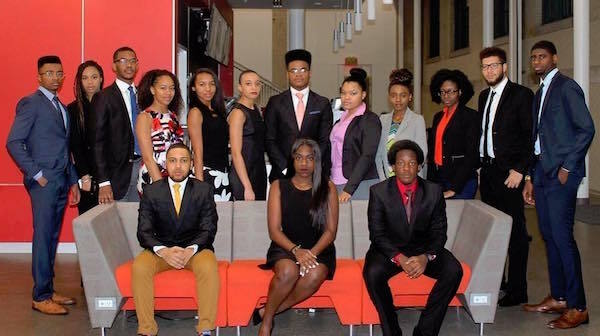 The organization is dedicated to the academic and professional success of African-American engineering students and professionals. NSBE offers its members leadership training, professional development, mentoring opportunities, career placement services, and more. Tau Beta Pi is the national engineering honor society. Membership, which is offered to students who rank near the top of their class, provides the opportunity to meet students in other departments. Pi Tau Sigma, the International Mechanical Engineering Honor Society, sponsors information sessions and events for Mechanical Engineering (MechE) students including Employer Breakfasts for MechEs as part of the Technical Opportunities Conference (TOC). The faculty advisor is Jon Malen. The CMU Chapter of the Society of Asian Scientists and Engineers (SASE) aims to prepare and strengthen Asian Pacific American scientists and engineers for their future careers by providing them with professional development and networking opportunities with both fellow students and professionals from various careers and backgrounds. The Society of Hispanic Professional Engineers (SHPE) strives to increase the number of Hispanic engineering and science students at Carnegie Mellon University through the development of programs within industry, the university, and the community. The activities are designed to increase career awareness, encourage relationships with professionals, develop leadership skills, and promote academic excellence. SHPE also holds several fun cultural and social activities adjacent to the Spanish and Latin Student Association (SALSA). The Society of Women Engineers (SWE) is a university-wide organization that supports and promotes women in science and engineering. Activities include the annual Technical Opportunities Conference (TOC) career fair, a workshop to acquaint female high school students with engineering opportunities, and the "Engineering Your Future" workshop for Pittsburgh students in grades 8-11. American Institute of Aeronautics and Astronautics is the world’s largest professional society devoted to the progress of engineering and science in aviation, space, and defense. Engineers Without Borders (EWB-USA) helps create a more stable and prosperous world by providing basic human needs such as clean water, power, sanitation, and education. EWB-USA's strength comes from its over 250 dedicated chapters, including university chapters on 180 campuses in the United States.